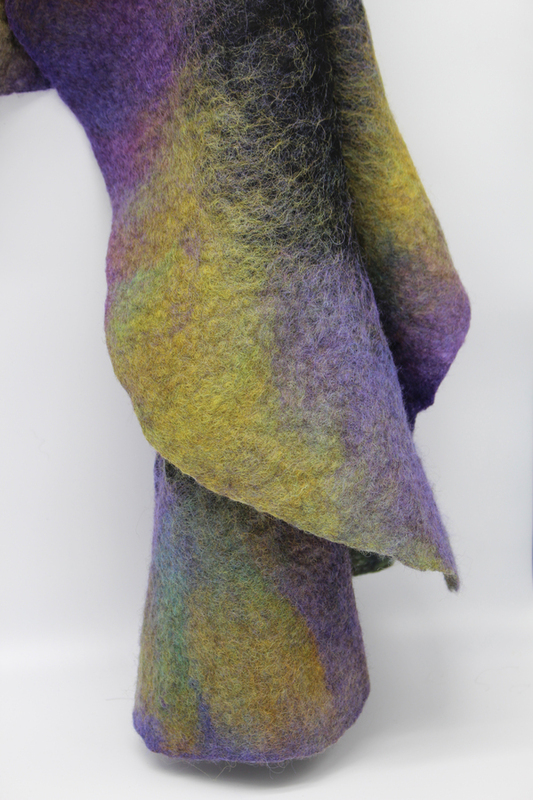 Hand felted Nuno Wrap made using hand dyed wool fibre in purple & greens with polyester organza fabric. 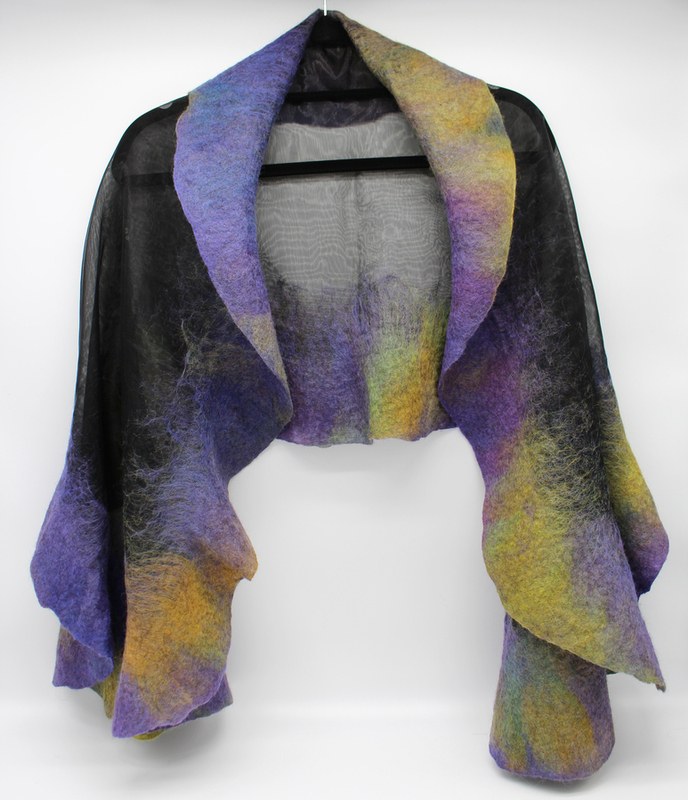 A pretty wrap lovely for a Spring evening or would go beautifully with a wedding outfit. Size 160cm x 54cm. Can be hand washed gently in cool water and spun dry.